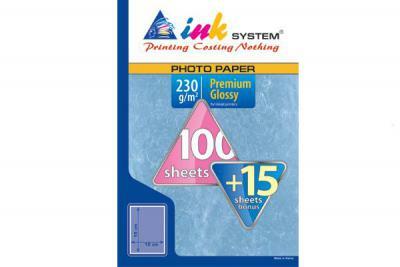 Photo paper for ink-jet printers is performed on our site in a wide assortment. A high-qualitative carrier is one of the major conditions of a high-quality printing. You may buy photo paper and receive evidence that itвЂ™s true. Paper of low quality spoils shots even more than low-quality ink. ThatвЂ™s why itвЂ™s worth to choose paper of a guaranteed quality, by the way, it may be rather inexpensive. All great artists chose canvas for their creations very precisely. Modern artists, вЂњcatchingвЂќ the moment on their cameras approach the question of buying photo paper very responsibly as well. ItвЂ™s no surprise, because the carrier is an important element of a future printing. 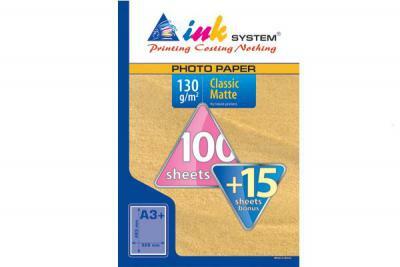 Qualitative photo paper for ink-jet printer will emphasize subtle colour gradations and give durability to the shots. In this section one may find only the best carriers for future photos. Here we perform 10x15 mm photo paper for photos of standard format, A4 photo paper for small posters and reproductions as well as A3 photo paper for wide-format photo printing. 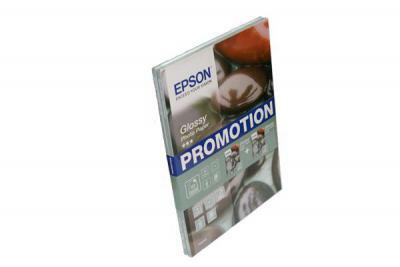 In this section you may choose EPSON photo paper with different surface. You can choose products, according to your own needs and taste. We perform a glossy photo paper, which looks perfectly in photo albums, as well as popular matt paper for ink-jet printers. Every type of photo paper has its own pros and cons. You may buy photo paper with different surfaces and obtain different effects. 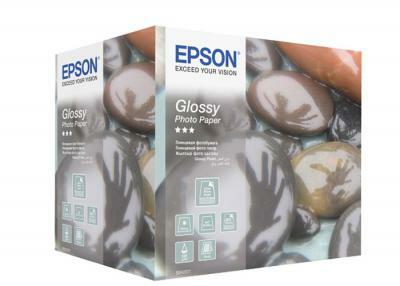 Glossy photo paper for CANON, EPSON and other printers creates an impression of depth, thatвЂ™s why, those scenes with sky or water will look better on a glossy paper. Matt EPSON photo paper provides a good detalization; it doesnвЂ™t glare. This carrier is best for portraits. Moreover, matt photo paper is better for making signatures than glossy one. However, all rules has their own exceptions, and photographers usually choose surface of paper, according to their personal preferences. Glossy and matt photo paper can be bought with the help of our site. 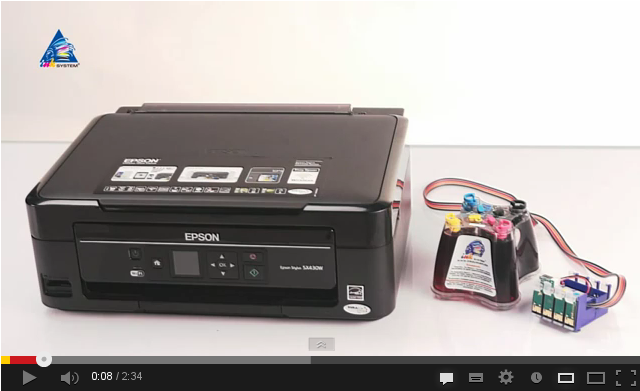 Here you can also purchase any device - from a simple ink-jet to all in one fax Massachusetts. Photo paper for ink-jet printers from INKSYSTEM company combines an excellent quality and a high level of whiteness. This product has been given an A+ degree of whiteness. 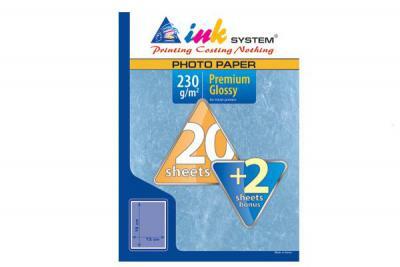 It tells about improved, вЂњpremiumвЂќ characteristics of CANON and EPSON photo paper from INKSYSTEM trademark. Speaking of the degree of whiteness, the performed inexpensive paper excels even identical production from world-known brands. Moreover, the carrier with a higher level of whiteness is universal. You may buy 13x18 paper and print high-qualitative photos or buy A3 photo paper and work with wide-format reproductions. You wonвЂ™t have to stint yourself in photo printing any more. High-qualitative universal photo paper can be bought with the help of our site, or at our regional representatives. In this section you can find a wide choice of cheap photo paper. This is that very case when a low price doesnвЂ™t mean poor quality. You may buy an inexpensive photo paper and get excellent photos. Th assortment of products is really large. Here we perform A3 photo paper for working with wide-format printers and plotters, A4 photo paper for printing large photos and small reproductions. 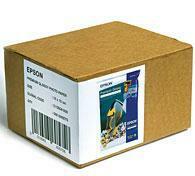 Her you will find carriers, which suit printing devices from world-leading trademarks: EPSON photo paper, paper for CANON. Moreover, in our catalogue you will find ink for magnetic photo paper and self-adhesive photo paper. 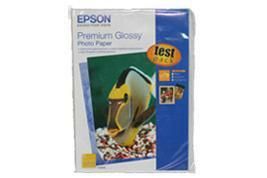 Are you looking for self-adhesive photo paper? Look through our catalogue, and you will find a lot of useful products. You may buy photo paper online (with the help of our site) as well as at our regional representative offices. INKSYSTEM company has no doubt in the quality of its production, thatвЂ™s why we are not afraid of marking of every sheet of EPSON paper. There are quite few manufacturers who sell marked paper. But the carriers from INKSYSTEM are well- recognizable thanks to a special mark. So, the company guarantees the highest quality of photo paper of A3, A4 and other formats. The advantages of this product has been already appreciated by thousands of users. Try it too! 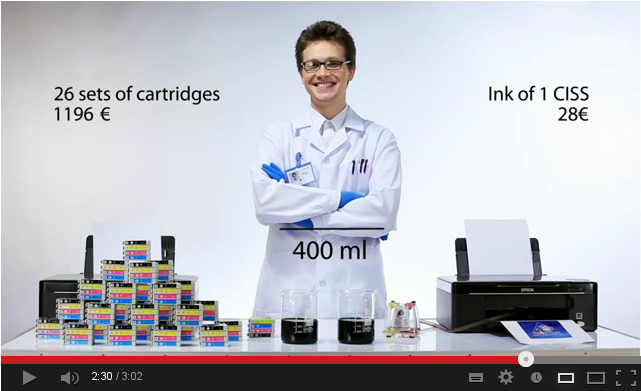 Also we recommend you to look at refillable cartridges for plotters, and devices with original CISS. Original cartridges Northern Marianas Islands as well as compatible ones are performed in our catalogue. You may buy photo paper as well as the best color printer New Hampshire with the help of our site. All you should do for this is to press вЂњBuyвЂќ button and make an order. DonвЂ™t forget about bonus! INKSYSTEM company adds bonus sheets to standard packages. 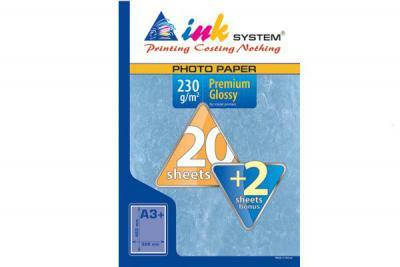 Almost every package of A3, A4 and other formats of paper contains free sheets. Buying 20 sheets, you get 22! And for the price of 100 sheets of cheap photo paper you get 115 sheets of high-qualitative carrier for future photos. ItвЂ™s a rather pleasant economy: 10-15 per cent for each package. Plotter cartridge Delaware and inexpensive photo paper of high quality can be bought at our site. Print with pleasure and without loss of quality.